I just purchased ooma telo and this is my first foray into VOIP. I have ooma installed and working with the phone in my home office. Also, I still have my phone service from Qwest. After my Qwest phone service is discontinued, how do I get ooma to all of the phone jacks in my house? Is it as simple as connecting the "Wall" port on the ooma device to the nearest phone jack and then all of the phones in the house will be connected? If not, what is the procedure? you can out it directly to the phone jack, however all phones will then work as if they are one phone, which is probably fine for most people. you can't take advantage of having two different people on two different lines at the same time for example. there has been a lot of previous discussion about how this works with the old 'core' hub but would apply to the Telo as well in this forum. for instance, it works best if disconnect the house from the line at the junction box to reduce the "noise", but if you have DSL that won't work. 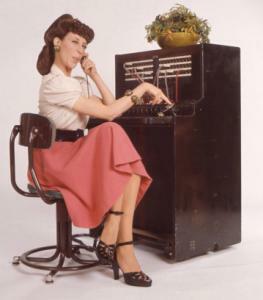 can also distribute the dial tone through for example Line #2 and leave #1 for DSL. there is also a lot of variation in the quality of lines, the way the house is wired and noise that vary from house to house -- for some people it works easy, for others it is a little more challenging. quality and specific configuration vary by house. an alternative is to use a DECT cordless phone. if you don't mind buying some new phones, i think the best bet will be to use the new handsets that they are releasing next month which sound pretty neat, but they aren't available yet. Actually, the WALL jack on the Telo is for integrating landline service into Telo. If you want dialtone all over the house, plug the PHONE jack into the outlet which would feed to all the rest of the house. You can put multiple pphones on the phone jack and you will have one line. Thanks for the replies. I do have dsl, so I guess I have to separate dsl (line 1) and phone (line 2). Can I accomplish that by doing the following? Run a 2-line cable from ooma telo to a 2-line splitter and plug the cable into the line 2 jack and plug the splitter into the wall jack. Then plug a 2-line splitter into each wall jack in the house and then plug each phone into line 2 of the splitters. Any thoughts on this? nunally wrote: Thanks for the replies. I do have dsl, so I guess I have to separate dsl (line 1) and phone (line 2). Can I accomplish that by doing the following? Run a 2-line cable from ooma telo to a 2-line splitter and plug the cable into the line 2 jack and plug the splitter into the wall jack. Then plug a 2-line splitter into each wall jack in the house and then plug each phone into line 2 of the splitters. Any thoughts on this? There is a better option if you willing to open the DEMARC box: connect the incoming DSL to line 2 of the house wiring, and using line 1 for ooma dial tone. This way you only need one 2-line splitter where the DSL modem connected. On newer house wiring (mine included) line 1 is colored blue/white-blue, line 2 is orange/white-orange. Regardless which line to use for dial tone/DSL, you need to connect all the wire by its color, ie all the blue together, all white-blue together, all orange, and all white-orange. 1. To get ooma dialtone on all phone in my house, do I connect the PHONE jack on the Ooma hub to any RJ jack in my house in order to distribute Ooma dialtone to all the house jacks? 2. Will the SCOUT still work in the above configuration ? 3. Do I need to unplug the landline from the NID box before connecting Ooma phone jack to wall RJ jack ? Note ** dropping landline from Verizon after port goes through. 2. You need to connect the hub and scout wall ports using a different, isolated wire pair.